I am typing this post because this very topic hits close to home for me. 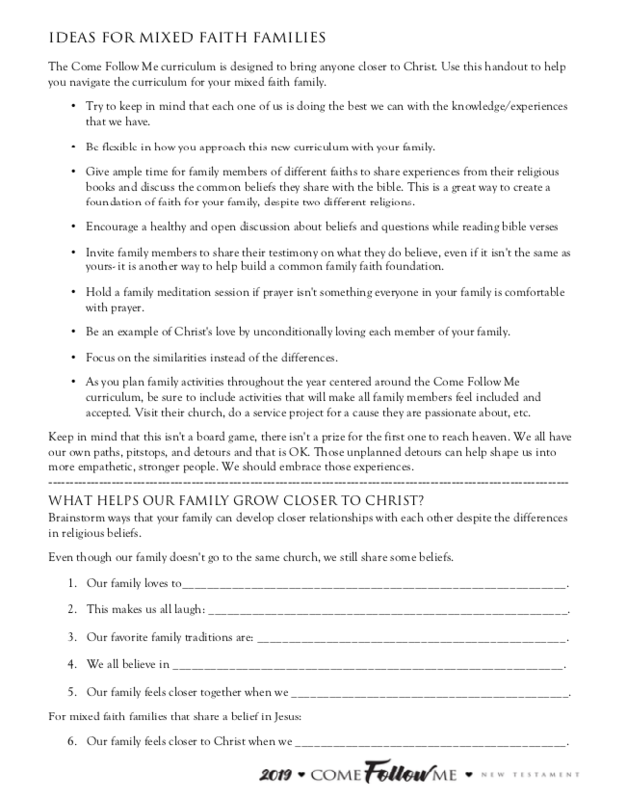 Anna at IvoryBloom and I are hoping that we can share some ideas with you if your family’s religious beliefs are not all the same. I think the key things to remember is RESPECT and LOVE. And building your family foundation on common ground. Maybe your spouse belongs to another religion or a sibling has chosen not to be a Christian. You can still use the program in your home. Do what works best for you. We can follow the Savior on different levels- even if it’s just pulling out the moral of the story and applying that into our lives. 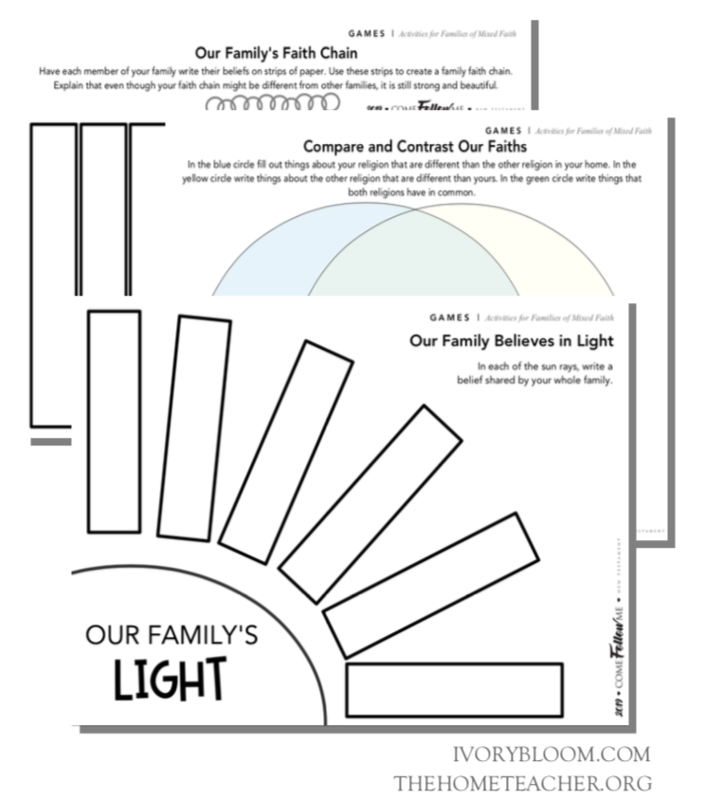 Click on the images below to download some ideas to help your family navigate the new Come Follow Me curriculum for your mixed faith family. Remember that Christ loves all members of your family. He will help you as you prepare these lessons to meet the needs of the family that He loves deeply and unconditionally. This entry was posted in church, come follow me, faith & family, fhe, lds and tagged come follow me, lds, mixed faith family, strengthening home and family on December 8, 2018 by ktoponce.